Office Hours: Available by phone Monday through Friday, 10:00 AM to 5:00 PM. Available in person by appointment only. Additional hours available at the Mars Library at the end of Discount Period (last two weeks of April and September). These hours are noted on the Mars Library Calendar of Events. All Mars Borough tax identification numbers (Parcel ID) begin with the numbers ‘450’. This office collects only Mars Borough, County and School Real Estate Taxes. 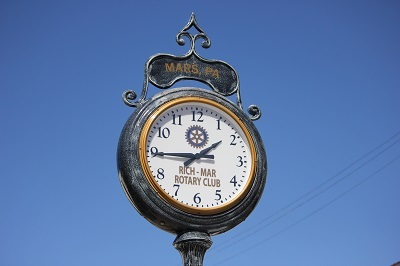 If you don’t own property in Mars Borough, then your taxes are not collected by this office. Berkheimer Associates collects most other taxes. See link below. The Mars Tax Office has nothing to do with the IRS. 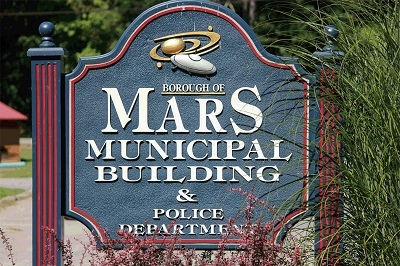 Mars Borough does not impose a Per Capita Tax. If you make changes to your building (adding a deck, remodeling, adding an addition, etc. ), your taxes may increase. These taxes may be called Interim taxes. Note that most improvements to your property require a permit from Mars Borough! Please visit the Zoning and Permits tab on the marsborough.com homepage. Mars Borough tax notices are mailed to you around the beginning of March. Mars School District tax notice is mailed around the beginning of August. Even if you do not receive a tax notice, you are responsible to pay your taxes on time. It is your responsibility to keep your address current with the tax claim office in Butler. If you have changed your property address information (i.e. got married, moved, paid off a mortgage, taken an equity loan, etc.) you should inform the tax office in Butler. I will help you to make that change if you give me something in writing. Additionally be aware that often mortgages are sold or transferred to another institution and addresses where bills are sent will change. Most mortgage holders are very responsible about paying your tax at discount for you. Taxes paid after December 15 can be paid to the Mars Tax Collector with certified funds (cashier’s check, money order) only. Delinquent Taxes (not paid by December 31) can not be paid to the Mars Tax Collector. Delinquent taxes must be paid to the Tax Office at the Butler County Courthouse with certified funds (cashier’s check, money order). Do not make the checks payable to Mars Borough or to Mars Area Schools. Please be sure you have sufficient funds! A $35 fee will be added for NSF checks and may cause late penalties. Don’t mail cash. In fact, payments in cash in person are not desirable. If you want a receipt, please include a Self-Addressed Stamped Envelope with your entire bill. 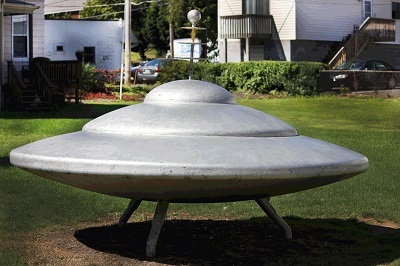 In Person……………………..You may call for an appointment to pay your taxes in person and I will meet you at the Mars Library, Mars National Bank, or the Mars Post Office. I will have limited office hours at the Mars Library during the last two weeks of discount period in April and September.